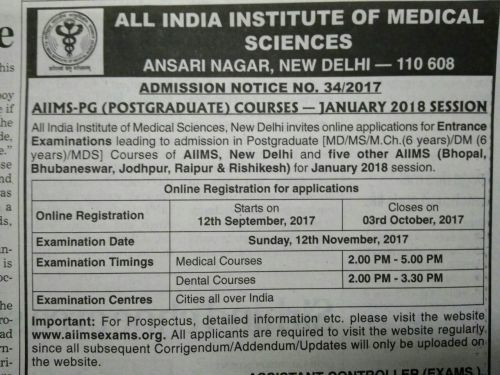 As expected the AIIMS (All India Institue of Medical Sciences) has put up Admission Notice For January 2018 Session. Online Registration will begin on: 12th September 2017. Online Registration closes on: 03rd October 2017. Centers: Cities all over India. This image is taken from a leading newspaper in India.